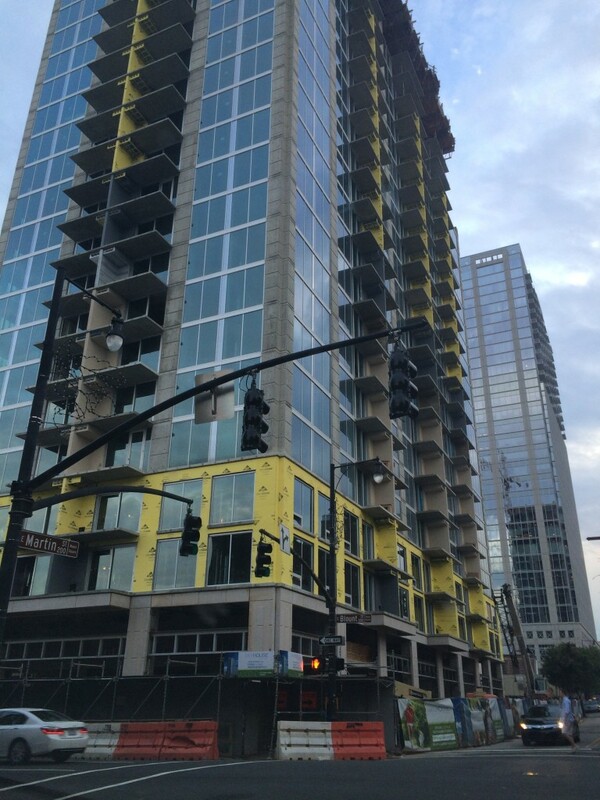 The new mixed-use building being constructed near Moore Square and City Market at the corner of Martin Street and Blount Street in Downtown Raleigh is a project called Skyhouse. The plans call for 23 floors of residential apartments with retail on the ground floor and a rooftop pool ready for occupancy in December 2014. And I love this very cool Google Maps tool that shows this corner beginning in 2007. Filed Under: Uncategorized, What Are They Building There?